Once the dog days of summer have left and September’s cool weather is here, I ‘m ready to get back to the kitchen and start baking more often with my oven. There is so much variety when your taste buds tell you to make potatoes. Red skin potatoes have a thinner skin and are a little quicker to peel than a baking potato,or a sweet potato. I don’t recall how this cookbook called, “A taste of Heaven and Earth, a Zen Approach to cooking and eating”, came into my house; perhaps one of my mom’s book collection. With this title, I think I’ll do some yoga poses after I’m finished, a Sun Salutation, tree pose, dog or cat pose. I love the spa close to my house, they have a very serene spa classroom; I just wish they were open on a Wednesday! This casserole dish is rich with a variety off Mediterranean flavors. Cook the potatoes by steaming them for 5 minutes or until halfway cooked and still firm. Drain and set aside. Heat the oil in a small skillet. Saute’ the garlic, onions, and herbs over high heat for 3 to 4 minutes, stirring frequently. When the onions become translucent, remove from the heat. In a medium bowl, carefully mix the cooked potatoes with the onions. Season with tamari and freshly ground pepper. Place half the potatoes and onions in the bottom of the dish, cover with half the tomatoes and olives, and top with 1/2 cup of Parmesan cheese. Continue layering in this order until all ingredients are used. Bake in the oven, covered loosely with foil, for 30 minutes. Uncover and continue to bake for 20 minutes, until brown on top. Garnish with parsley. “ I was raised with home-made spaghetti sauce every week”, one thing is for sure, “ the smell of tomatoes and oregano and basil is soothing to my soul.” I have re posted this recipe from Kelly at the Spunky Coconut; many of her recipes are gluten-free. Set to 4 hours high. After cooking throw in about 3 cups fresh chopped spinach to wilt. I also added a drizzle of organic extra virgin olive oil, and a few cranks of fresh ground pepper. Serve over noodles. I use Tinkyada. She writes the reason why she’s calling it “Spaghetti Leonardo” . Whilst looking for an Italian name, and who better to honor than this hero, Leonardo DiCaprio. No, it’s not his acting career, although his movies are great. It is what Leonardo does in his free time. There’s a link to one of her favorite organizations, the Natural Resources Defense Council. Leonardo DiCaprio is one of the board members of the NRDC, along with Robert Redford. If you can, check them out and give them your support too. On one of the last warm days of August, I craved the taste of homemade meatballs simmered in home-made sauce, so I spent my afternoon cooking this recipe. Inhale, and as you do, imagine the smell of tomato sauce simmering on the stove, it is my favorite comfort food along with pasta. 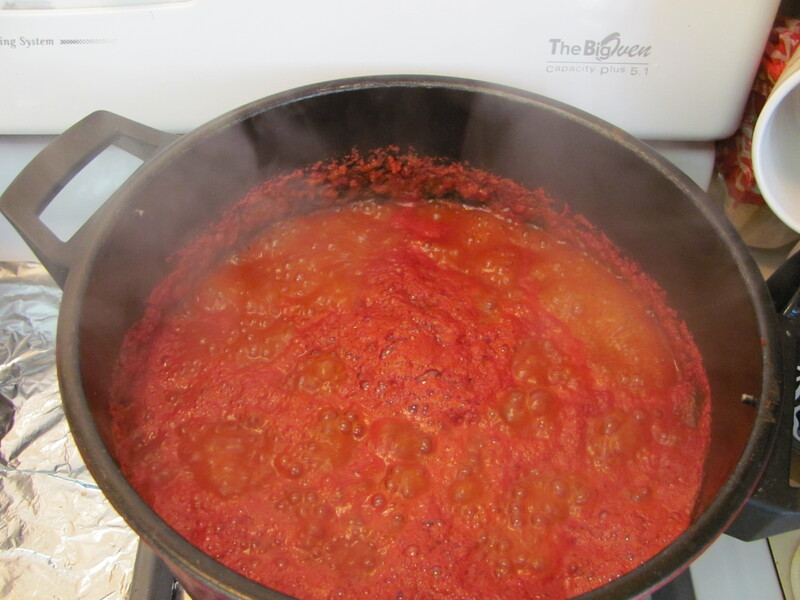 Growing up in my house, every Saturday, my mom had a huge stockpot of tomato sauce simmering on the stove, all afternoon it seemed. For a snack , mid-afternoon, while this was simmering, we’d get a small plastic plate, place a piece of Wonder bread, (white bread) , and ladle some tomato sauce on it, slice it up and eat it that way. Sauce and bread! My mother’s sauce was delicious just like that; we couldn’t wait for the meatballs. LOL. I added 2 cloves of garlic, whole and 1 raw carrot that was scrubbed to the large stock pot. Cook on stove on low heat for 3 – 4 hours. If sauce gets too thick as cooking, add water. After simmering one hour, add cooked meatballs, or sausage or cooked pork chop with bone in. microwave 5 minutes and turn. or cook in iron pan on low to medium heat slowly and turn until all sides browned. Today, I baked the meatballs in a 350 degree F. oven on a cookie sheet with a little canola oil for 20 minutes. Then after draining meatballs on paper towels, I placed in the tomato sauce and left to simmer on the stove for 1 hour on low heat. My challenge was to finish reading Eat, Pray, Love before the release date of the movie, August 13,2010 and now I am inspired to post an Italian themed recipe and photo for Valli’s Eat, Pray, Love Italian challenge. The challenge is open to any “foodie”, one who likes to cook. You are welcome to go to Valli’s website to read her post and perhaps get in the kitchen and cook up something Italian to share with other foodies. Valli of ” More Than Burnt Toast” blog has an Italian food recipe challenge inspired by the upcoming movie release of EAT,PRAY,LOVE on August 13, 2010. You can find her post on More Than Burnt Toast at http://morethanburnttoast.blogspot.com. If you would like to join Valli simply prepare an Italian dish from antipasti, primo, secondo, contorno to dolce and send the link with photo to eatchallenge(at)gmail(DOT)com before the opening of the movie , August 13, 2010. Eat , Pray,Love is Elizabeth Gilbert’s wonderfully crafted book about life changing experiences when she trades in her previously perfect life to travel the world “to find herself. ” After a heart wrenching divorce she spends a year traveling in Italy, India and Indonesia. 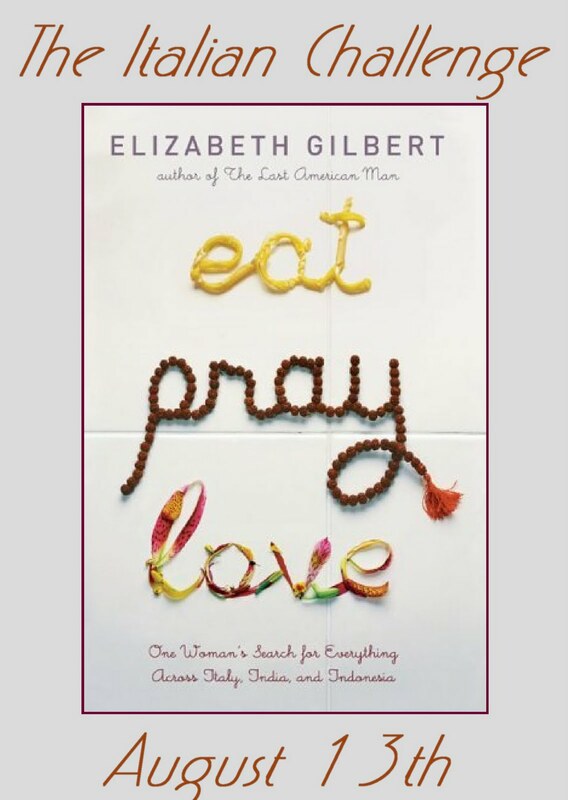 Each word in the title Eat, Pray, Love is expanded by her experiences in three countries. In my next post, I’ll add my Italian themed recipes and continue reading Eat Pray Love. What a wonderful day, full of sunshine. This morning I was reading in Body and Soul magazine, September issue. I continuosly like to learn about new ways to keep one’s health and immunity level high. A new study from the Journal of Allergy and Clinical Immunology shows that” B vitamins may help keep allergic reactions in check and ease the severity of symptoms”. Researchers found that higher levels of folate had fewer allergy symptoms and a lower risk of asthma and wheezing. Broccoli, Asparagus, oranges, kidney beans, collard greens, black-eyed peas, spinach, avocado, and lentils. 1. In large stockpot, saute carrots and celery for 10 minutes. 2. Add vegetable stock (I used Organic from my local grocery store (or Chicken broth) , lentils, salt and pepper. 4. Sprinkle with parsley or Parmesean cheese to garnish before serving or instead can add a liitle bit of fresh lemon juice. 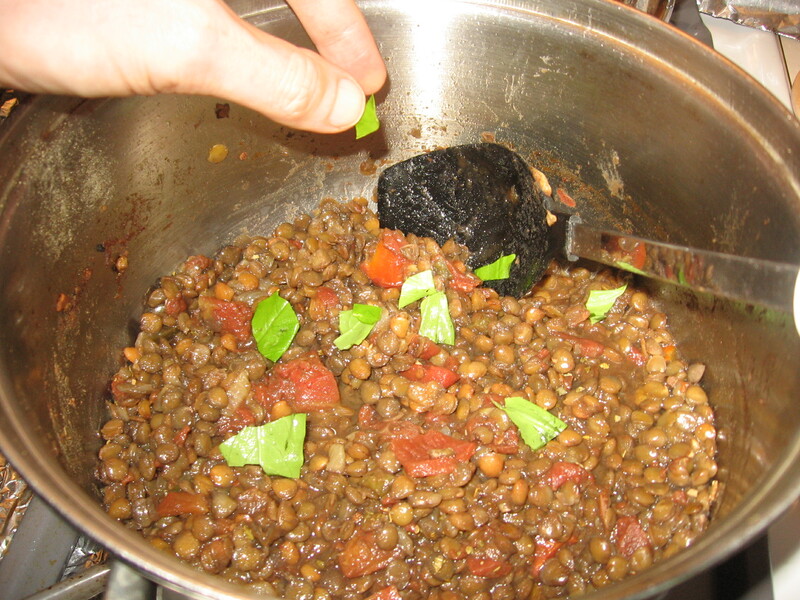 I have been preparing this Lentil soup for some time now. You can add the herbs of your choice to spice up the flavor of this soup; substitute Cumin, 1 tea-spoon and curry powder 1 teaspoon and omit the Paprika. One of the many tents at St. Ann’s church of the annual Italian Festa to honor the San Rocco . For more red theme photos, please go to the above web address. It is August 8, 2015, and I am updating the tags and categories, to include meals, dinner, breakfast, lunch so more searchable. We try to visit this Italian Festa every summer in June. Yes, this year, I had my Italian Pizelle with tomato sauce. my sister ate one with Powdered sugar. 1. Pre-heat oven to 350 degrees and bring a large pot of salted water to a boil for the egg noodles. 2. Heat the 2 Tbsp of oil on medium high heat in a large, heavy bottomed pot. Add the onions and green bell pepper and saute until softened. Add the garlic and cook for a minute more. Add the tomatoes, breaking them up with your fingers or a knife, if you are using whole canned tomatoes. Bring to a simmer and let cook for 10 minutes. Lower the heat to warm. 3. In a separate skillet, heat to medium-high. Add a couple of tablespoons of oil to the pan and brown the meat, working in batches. Break up about half of the ground beef into the pan. Do not stir, but let it cook for a minute, or two until brown. Sprinkle a little salt over the meat while cooking. Once brown on one side, stir the meat a little to get the sides browned. Once the meat is thoroughly browned, use a slotted spoon to remove the meat from the pan and put it in with the tomatoes, onions, and gren bell peppers. Brown the second batch of ground beef the same way. 4. Using the same pan that you had used for browning the beef, saute the mushrooms in the remaining oil and beef drippings. Once browned, add the mushrooms to the beef and tomato mixture. 5. While the mushrooms are cooking, add the egg noodle pasta to the boiling water. Cook as directed., about 4-5 min. (or according to Egg Noodle package directions). Strain when cooked, but still a little firm (al dente). 6. Add egg noodles, corn, chopped olives, and about 2/3 of the cheese to the large pot of beef and tomato mixture. Gently mix in. 7. Transfer mixture to a large casserole dish, or to two casserole dishes if you don’t have one that is large enough. Sprinkle remaining cheeese on top of casserole(s). Place in the oven for 30 minutes (can go as long as an hour. Delicious. Egg nodles cook up faster than regular pasta, and are fortifed. Can be made without the green peppers and onions. When using ground turkey, I add Italian Seasoning, basil, oregano or a mixture of these to add more flavor. Ground turkey need a boost for flavor, but is healthier for you.